TUCSON, Ariz. (AP) - Lauri Markannen scored 17 points, Parker Jackson-Cartwright had 15 points and a career-high 11 assists and No. 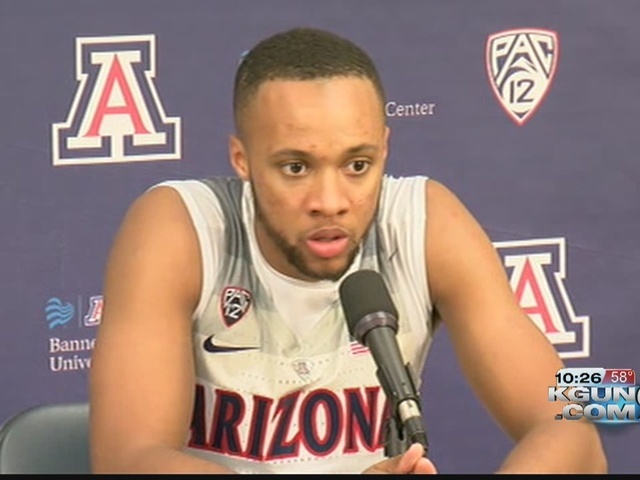 9 Arizona pulled away over the final 12 ½ minutes to beat Northern Colorado 71-55 on Monday night. Kadeem Allen added 10 for the Wildcats (4-0). Gerard Davis scored 20 for the Bears (1-3). Chaz Glotta, a transfer from Southern Illinois, made 5 of 11 3-pointers for 15 points. Jackson-Cartwright, whose previous career best was five assists, committed just one turnover. He had none in the previous game against Sacred Heart. The Wildcats outscored the Bears 34-16 over the final 12:15. But most of the night, Northern Colorado - picked by coaches and the media to finish near the botton of the Big Sky Conference - gave the Wildcats all they could handle.